For the baby sprinkle I posted about yesterday, I had a lot of fun putting together the sweet strawberry diaper wreath! It really was simple to make, and once you have the diapers, the other wreath "ingredients" are very inexpensive. The wreath is a nice way to greet guests at the door for a baby shower, and hey -- it's diapers -- what mom-to-be wouldn't be excited about leaving a shower with a few extra diapers on hand? 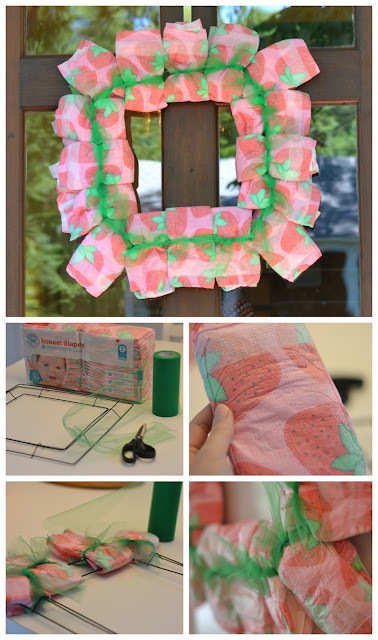 Here's how you can make one using diapers, tulle ribbon, and a wreath form. Any size or type of diaper will work, but I just love the prints on the Honest Company brand, PLUS the mom that we were "sprinkling" uses their diapers with her son. 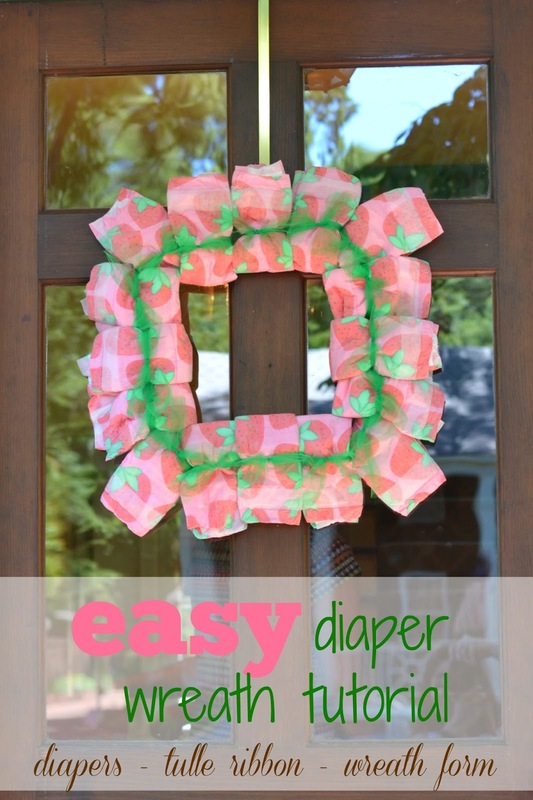 Start off by affixing a diaper to each corner (if using a square wreath form, like me). If you are using a round form, you can just start anywhere. I chose to scoot each corner piece up so that the four corners stood the highest. You will not need to do this if you have a round wreath form. You will want to open the diaper and "sandwich" it around the form, then tie a piece of tulle ribbon around it to keep it secure. After doing each corner, start filling in the rest of the wreath, securing each sandwiched diaper on the form with the tulle ribbon. Keep working your way around and adjust the diapers as necessary. Fluff out the tulle knots. Hang your wreath, step back, and admire the fact that this is really the simplest DIY tutorial you've ever knocked out. Such a pretty little wreath! 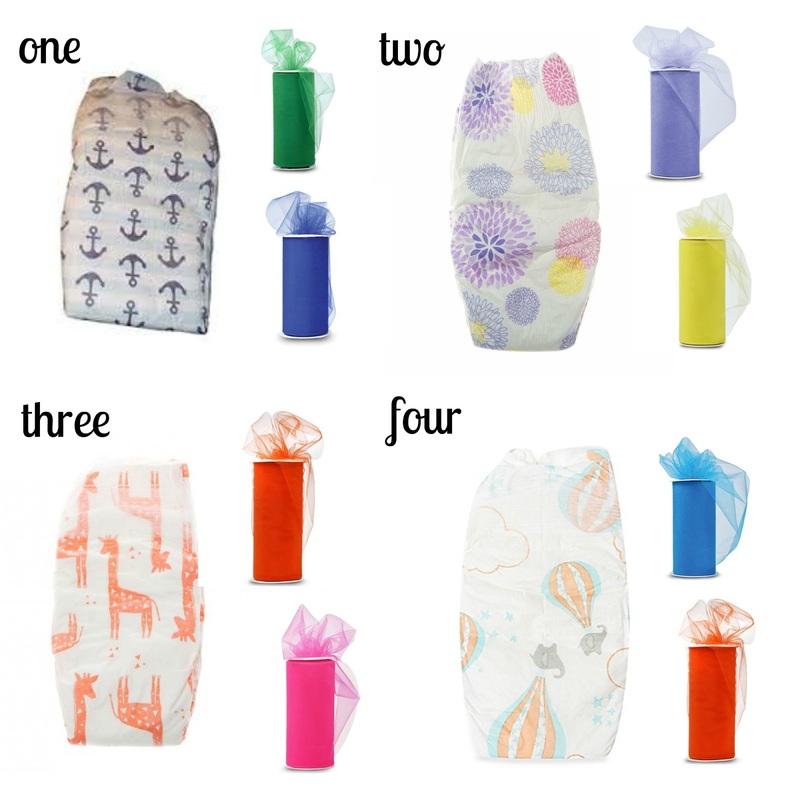 Here are my other favorite combinations of diaper patterns with tulle ribbon colors. All of these can be purchased through Amazon (my favorite) and the links are below. I'd love to see some of your creations if you give this diaper wreath a try! 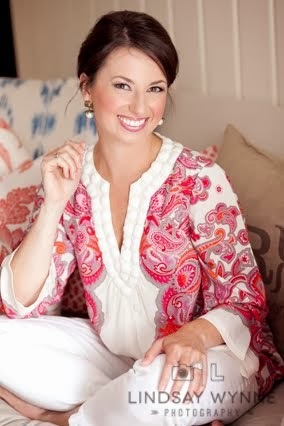 Please link up your blog post below if you have photos to share. what a great idea! definitely going to use this for future shower ideas! That is such a cute and practical idea! Love it! This is pretty creative! Definitely a cool spin on the classic diaper cakes!